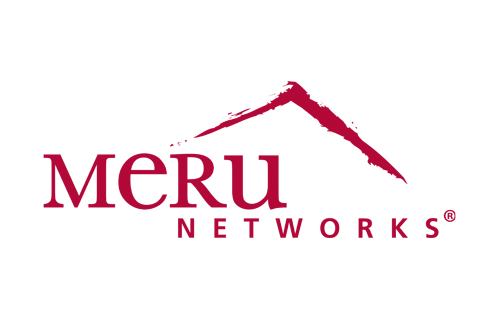 Meru was founded in Jan 2002 with their HQ in Silicon Valley. Currently they have offices in 22 counties. Three major verticals they focus on are education (higher education, primary/secondary), healthcare (hospitals, assisted living), and hospitality (hotels, conference centers, airports, stadiums). Meru has an architecture called MobileFLEX. This is an all encompassing solution at each of the following layers: Access, Control, Management, Policy, and Solutions. An interesting part of this MobileFLEX is their channel usage. While they support multi-channel traditional networks they also support a concept called single channel architecture and virtual channel layering. One of the aspects they mention about channel layering is having an SSID per channel essentially which limits the number of networks being broadcasted on a single channel. Meru showed us their Service Assurance Manager which lets you test what clients are seeing by connecting to the networks and performing some tests using virtual clients. One can also do some remote troubleshooting to detect items such as broken link from client to AP, radio failure, interference, backhaul issues, L3 misconfigurations, controller misconfigure, or problems with RADIUS, DHCP, or Active Directory server issues. This allows you to create a single client on an AP, so it’s more of a test as the name implies, not performance monitoring/validation. When we put it all together for a site plan we need to consider things like RF, density, bandwidth, and client type. The interesting part about the Meru APs is that they are software defined radios, so we can mix and match Single Channel Architecture, with Multi Channel Architecture, and Virtual Cells. This would allow you to have benefits of MCA for example with video streaming and then use their SCA features where it would work better. I’m still not overly sold on the SCA architecture, I think you are not gaining much in terms of capacity and stability. An interesting example of what they see as a selling point was the fact that if you are doing RTLS your tags batteries will last longer because they don’t have to chirp on other channels. A small chirp isn’t going to create a huge drain on the battery folks! I don’t know, I just need to do some independent testing and see what I actually see. Following what most vendors are doing Meru also has an Identity Manager solution for their onboarding and guest management policies. Identity Manager works well on both wireless and wired networks and can support all networks (Cisco, Aruba, hp, Juniper) and devices (iOS, Android, Windows, OS X). There are two modules or components of Identity Manager. First is Guest Connect which can automate guest access and also provide self registration via a sponsor, credit card, or SMS. The second is Smart Connect which is their automatic 802.1x configuration to reduce IT involvement. The Guest Connect goes a little bit further and allows for reporting as well so you know what guests were up to. Like we’ve seen from some other vendors this concept of “Social Wi-Fi” allowing a guest to log onto the network using their twitter or Facebook accounts for example. I think Meru, like Xirrus, gets a lot of crap about their decisions on how they do wireless but we need to remember that there are multiple ways to skin a cat for different deployment models so, like Xirrus, I applaud them for doing something different. At the same time though I need to see the real results of what is going on in the RF, seeing is believing.